Welcome to the world of Braun audio. Many design orientated people love the high quality audio systems from Germany’s top manufacturer Braun, Frankfurt. Braun stereo’s from the 60s were the compact models audio 1, audio 2, audio 250 and audio 300 in heavy metallframes, designed by well-known Dieter Rams. 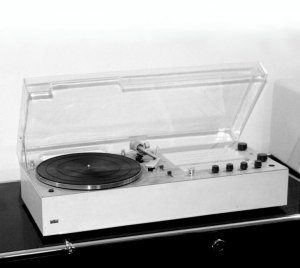 The last model of this series was the searched after Braun audio 310, brought to market in 1971. 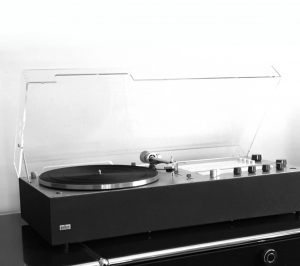 This combination of turntable and radio receiver with additional inputs for tape and a reserve channel are highly searched after by braun fans and collectors, especially in mint condition, technically reviewed and capable of full function. What is a Braun audio 310 worth? It depends on the paint condition, which price is reasonable for a Braun audio 310. 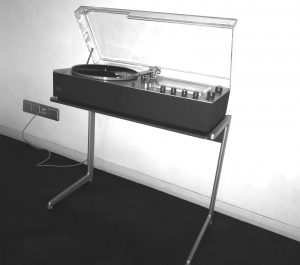 The market prices vary in a range between EUR 100,00 for stereo systems in dreadful state and up to EUR 2,000.00 for a 70s stereo in absolute perfect condition. The most common problems are the paint damages on the silver lackered surface caused by the transparent perspex lid. Real Braun fans are looking after fully functionable audio 310 stereo’s for their living rooms, desiring perfect shape and condition and a pair of suiting loudspeakers also. Matching speakers for Braun audio 310 were available in many different sizes and designs. The L420/1 model fits perfect to the Vitsoe shelf. The biggest speakers were the voluminous L 910. A perfect fit for the Braun audio 310 are the L500/1 and the L620/1. The timeless design convinces with its rounded corners, the aluminium grid, and the white grinding paint. Braun speakers in good condition from the 60s and 70s are rare and trade at astoundingly high prices. Matching speakers for braun audio 310 were available in many different sizes and designs. The timeless design by legendary Dieter Rams convinces with its rounded corners, the aluminium grid, and the white grinding paint. Braun speakers in good condition from the 60s and 70s are rare and traded at high prices.